Comments: My 4.5 year old son loves this story about a gentle bull who is accidentally chosen for a bull fight, but refuses to fight. I’m going to have to buy it, because the library wants it back and he’s wanted it read practically every night for the past month. 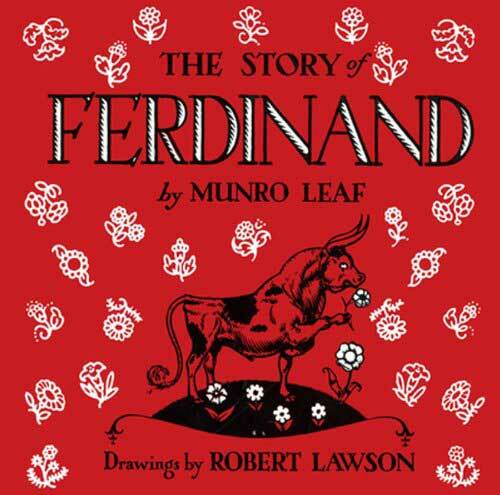 There is about an 8 minute long Disney cartoon called “Fedinand the Bull” based on this book that I remembered from my childhood and is available on YouTube. I was reluctant to show it to my son, because I thought he might then prefer to watch the cartoon instead of read the book, but I let him watch it a few nights ago and it hasn’t dampened his enthusiasm at all. He now wants to watch the cartoon periodically throughout the day and still asks to have the book read at bedtime.